Studying in Germany is a big chance for students from all over the world. They benefit from a high quality educational system, learn a new language and gain experience from this interesting country. 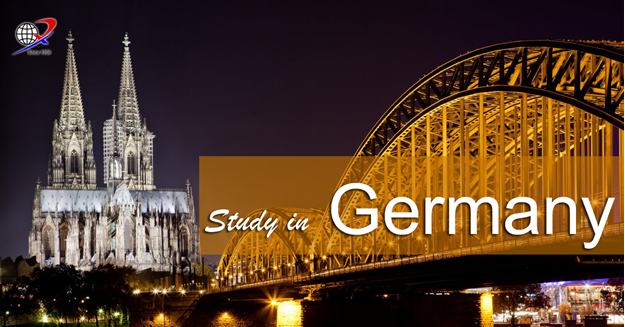 German universities offer degree programs in every possible subject and educational level – be it bachelors, masters, state examinations or doctoral degrees. General universities study firmly on scientifically oriented study in an extensive variety of subjects. Universities of applied science, then again, are extremely practice oriented. In case you're more interested in creative subjects, you can select a school of craftsmanship, film or music. Germany's long and acclaimed university tradition could be useful particularly in the fields of engineering and science. Either its car, machinery or education people all over the world perceive "Made in Germany" as a seal of quality & value. A German university degree is profoundly regarded & recognized by employers around the globe. A lot of international students prefer to work part time in order to earn some additional cash whilst studying. As an international student, you'll be permitted to work a maximum of 120 full (or 240 half) days every year, in spite of the fact that you can't depend on this part time earning to see you through your study abroad experience, consider it more as a method for gaining some additional spending money. If a student has good enough grades at school and a school certifcate that is equivalent to the German exam (such as A-level or IB) OR has spent some time at university in his/her home country (usually 4 semesters) OR indeed a bachelor degree, he/she can enter university directly after completing the required German level: C1 TestDaF. The student can then start his/her Bachelor or Master degree. A student can reach this level within 36 weeks á 30 hours each. If a student only has a general secondary exam or something similar (i.e. no equivalent to the German university entrance requirement such as A-levels), he/she will need to do a foundation year before being accepted into university. The required German entry level for most the foundation year (Studienkolleg) courses is now B2. A student can reach this level within 30 weeks a 30 lessons each.